Severn Trent's Liv Garfield and Jacqueline Tammenoms Bakker will both leave the supermarket's board by Saturday. The shakeup of Tesco's board rumbles on today with the departure of two non-executive directors. 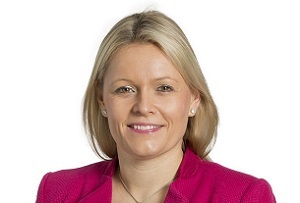 Severn Trent CEO and former Openreach boss Liv Garfield (pictured), and the former director general of the Dutch transport ministry, Jacqueline Tammenoms Bakker, will leave the supermarket's board by the end of the week. Tammenoms Bakker has been on the board for six years, so her departure does not seem premature – boards need to be refreshed every once in a while. But Garfield has been in the role for less than two years so her exit will raise eyebrows. The official reason is that she wants to 'concentrate fully on her new role as CEO of Severn-Trent,' and it could be that balancing the two jobs is proving more of a handful than anticipated - especially given the monumental reputational omnishambles Tesco has been going through. The departures are just the latest development in an ongoing shake-up of the troubled supermarket's board. In October former IKEA boss Mikael Ohlsson and Richard Cousins, chief exec of caterers Compass, were brought on board as NEDs. Last week it was announced that its chairman, Sir Richard Broadbent, who announced he would step down last year, will be replaced by former Dixons chair John Allan. The news will do nothing for Vince Cable's target of reaching 25% representation of women on FTSE 100 boards by the end of this year. Latest figures from October showed the figure was around 22.8%. Garfield and Tammenoms Bakker's departure will leave Tesco's board looking very male and pale, with just one female director, former Barclays exec Deanna Oppenheimer, remaining. It's not clear if Tesco plans to replace them, but even after they leave its board will still comprise 12 people, including the chief exec and FD - massive by retail standards, even for the biggest company in the UK. Perhaps there could be more departures on the way before Tesco's board gets a bit more diverse.